If you are anything like me, you are approaching the level of burnout with zombie themed games. From board games to video games to comics and TV, zombies are literally everywhere. There are several co-op board games featuring zombies, including three we have already covered in this column: Zombies Keep Out!, Dead Panic, and Zombicide. 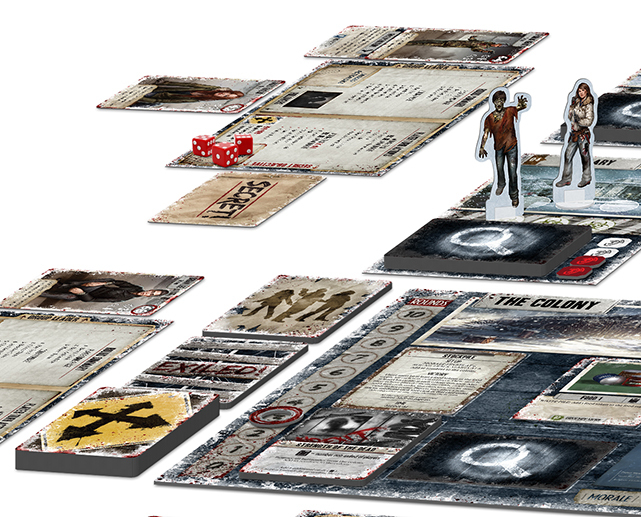 What does Dead of Winter offer that these other zombie co-ops cannot? It’s a tough question, but I believe the best answer is a compelling narrative. In the three games mentioned above, most every scenario plays out the same way. Players team up to fight off the advancing undead, and as they do, the intensity ramps up until one of two things happen: they win, or they lose. 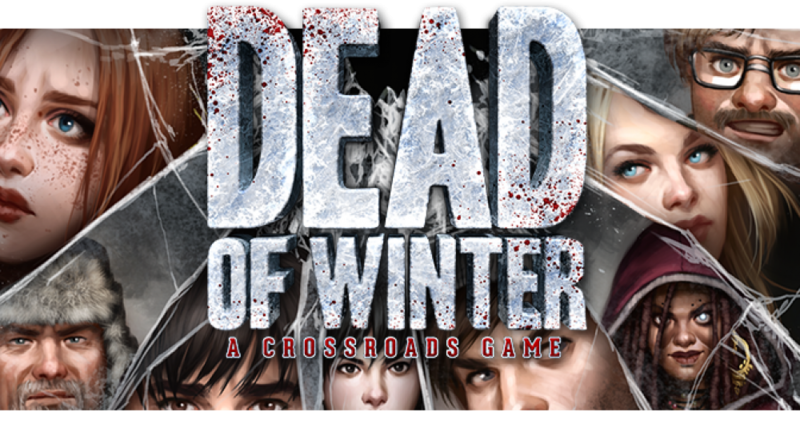 Dead of Winter adds in a wrinkle on top of that basic formula that adds a sense of drama and agonizing decision making that other games lack. This wrinkle comes in the form of secret objectives. Each player is dealt a card that details their own unique victory condition. This victory condition is in addition to the overall goal that all players must reach together. Initially, my thought was that these secret goals would detract from the sense of cooperation, and I suppose in some sense, they do. However, they add so much depth to the experience that the game is much better as a result. In my first game, the shared objective was fairly straightforward. It was called Raiding Party, and required the survivors to deplete the search decks at two different locations in the game. This seemed straightforward enough. The secret personal objective I had been dealt was “Burn It All Down”. This meant I would only truly win the game if we had collectively built four barricades and I had a can of gasoline in hand. Aside from the narrative implications of being an arsonist, the secret objective had a great effect on my decision making throughout the game. The main objective led us to collectively focus on two locations throughout the game in order to get through those search decks in time. However, I felt compelled to visit the Gas Station, where I could stockpile gas cans for my secret win condition. When we found a snowmobile that allowed moving from place to place without the threat of being attacked by zombies, that was great news. Except for the fact that it required gasoline to operate. It forced me to choose between what was best for the group (fill up that snowmobile as often as possible) against my own “need” to hoard a can of gas. That sounds interesting enough, right? But remember that each other player also has a secret objective. They are facing the same sort of agonizing choices that I am. But I can only speculate as to what those objectives might be. It breeds just enough dissonance into the game to make it compelling. No longer are you bored when it isn’t your turn. You are constantly looking for clues as to the reasons behind the other players’ behavior. The secret objectives also nicely solve the “alpha player” problem that many co-ops have, where one experienced and/or noisy player decides what everyone’s best actions should be. In Dead of Winter, what may be best for the group is often overlooked in favor of the personal goal, and the “alpha player” can’t get upset over such play when they, too, are working towards their own benefit from time to time. Page created in 0.6067 seconds.